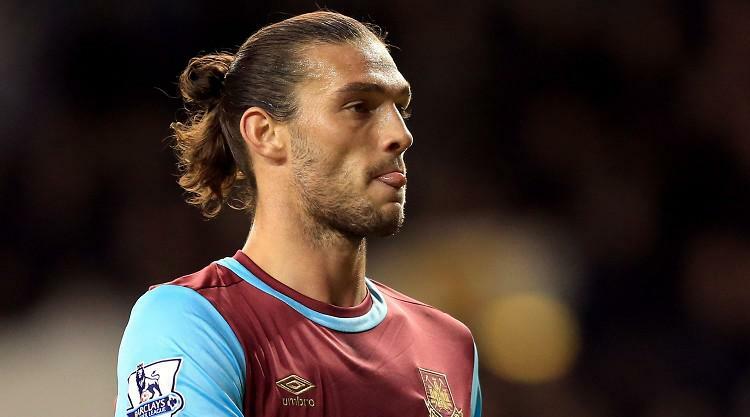 Andy Carroll hopes his two goals against West Brom will help earn him a regular spot in West Ham's starting line-up. The towering striker was handed his first start since November against the Baggies and responded by firing West Ham out of the relegation zone. The Hammers trailed to James McClean's deflected shot, but Carroll struck twice in the second half with a trademark header and a dramatic winner in the fourth minute of stoppage time. The 28-year-old, making only his third start since David Moyes took over as manager, said: "It's been very frustrating, I've been sitting on the bench and it's been tough. "I've been wanting to get out there and start games. It's hard when you come on for the last 20 minutes. "When I have come on I've been making an impact, but it's not really what I want to do. I don't want to be an impact player coming off the bench. "When I was called upon for this game I felt like I needed to show what I was about and try to push my way back into the team from the start." West Ham face a quick turnaround as they head to Wembley to face Tottenham on Thursday night, but Carroll is relishing the chance to go again. "The games are hard and there's a lot of them," he added. "For the lads who've been playing every game, every two days, it's been tough for them, but I'm feeling good. "I haven't been playing many games so it's nice to have another game in two days." West Brom were also victims of the hectic schedule, having played Arsenal just 48 hours before their trip to the London Stadium. Boss Alan Pardew said: "I want to say that we could have been better, but even that was hard to say with a two-day turnaround - it was really tough on us. "I'm desperate for the players, I really am."